In the ever growing world of digital downloads, people are shying away from physical media for their video games so that they can download the game directly instead. Numerous platforms are available for gamers to do this, the biggest two being Steam (from Valve) and Origin (from EA). The thing is though, despite the games being completely digital i.e. you don’t actually get a physical product and both of the vendors listed are charging the same price for the game that you would pay if you actually had the box and the disc as well. Yes, they have to run the servers and what not, but there’s no need to pay the same price when you don’t actually own the physical media. Due to this, I had started to look online for a cheaper way to get these games, and I came across Kinguin. This is a site, much like eBay that allows you to get products (in this case, games and other software) for a much cheaper price. The question is though, is Kinguin safe to use? 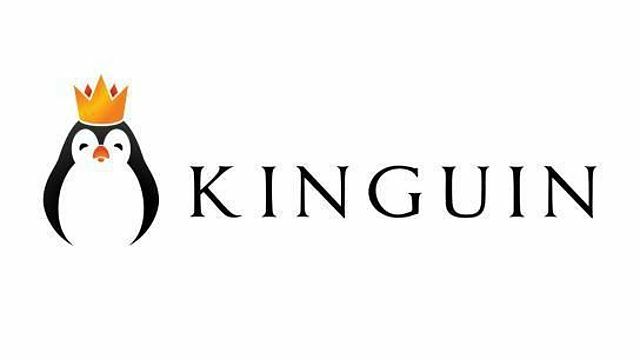 Being inquisitive, I took the plunge myself to see if Kinguin is a safe portal to use to get a game key. Arguably, the biggest game of the last few months (and perhaps the year) is Star Wars Battlefront. I had pre-ordered this game on the PC months before the game was even available. At this point, I was also curious to see if Kinguin was a legitimate and safe site to use. To test this, I had requested a cancellation of the pre-order that I had made since the card I had used was actually ready for expiring and just in case there were any issues, I wanted a refund just now. Within the next 30 minutes, my pre-order had been cancelled and the money was returned to me. So far so good and by this point I was beginning to realise that this is going to be a pretty great way to get games at a cheaper price. The other thing that put my mind at ease is the various payment options you have on the site. You of course have PayPal, but if you pay directly through a credit/debit card without using the PayPal option, the transaction is handled by Skrill who is also a reputable online money vendor. Once I had got my new card, I then pre-ordered the game again. Since the game was still only a pre-order I was waiting with baited breath to actually get the code on release day. Come the day the game was released, I did indeed get it in the form of a scanned image. To me this was fine, and all I had to do was input the code into Origin. At this point, there was still part of me that was anxious that there would be a hitch in the process, but everything went to plan and the game installed successfully. Not only did it install successfully, but it is also updating itself and this is well over a month since I received the code. Whilst there has been issues in the past with less than scrupulous vendors selling dodgy keys on sites like Kinguin, thankfully these days are long gone. Every seller now has to go through a rigorous background check before they can sell anything on the site. Couple that with the money back guarantee that Kinguin gives customers in the event that something goes wrong and you’re in really safe hands, especially with the customer service being so great. To that end, I can say that Kinguin really is a legitimate site and safe to use. Bear in mind that this was written on the 26th December 2015, whilst a lot of the forum posts that are floating around about this topic are from early to mid 2014 when there were still issues with all of these types of sites. The next time you’re looking to get a game (or piece of software) cheaper than Steam, Origin etc, be sure to visit Kinguin instead. If you use that link, it’ll help support the hosting of this site, but won’t cost you any extra to use it. It’s 100% safe to buy from them and you’ll get your games at a fraction of the price. Kinguin is an amazing portal to allow gamers to get cheap Steam and Origin codes. It also makes getting PC software at a cheaper price a great option for those that have a tight budget.